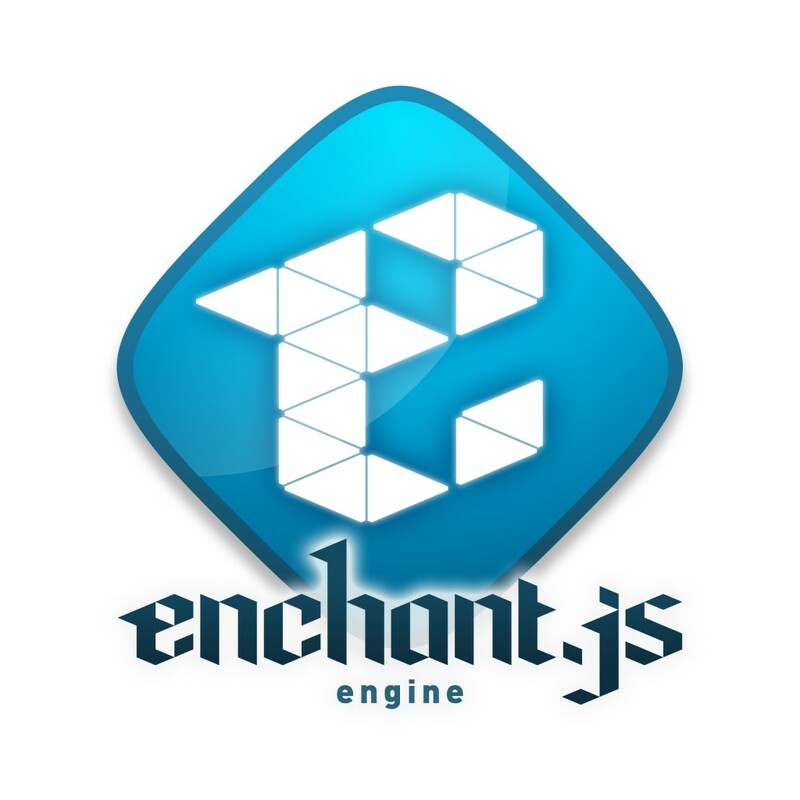 enchant.js / Ubiquitous Entertainment Inc.
enchant.Sprite.call( this, 32, 32 );	// 継承元をコール、幅と高さを設定. this.image = core.assets[ IMG_ENEMY_32 ];	// 敵キャラ画像(32×32)を設定. this.x = x;	// X座標. this.y = y;	// Y座標. this.frame = frame;	// 指定した敵キャラのフレームを設定. this.frame = no;	// 指定した敵キャラのフレームを設定. enchant.Sprite.call( this, 64, 64 );	// 継承元をコール、幅と高さを設定. this.image = core.assets[ IMG_ENEMY_64 ];	// 敵キャラ画像(64×64)を設定. this.frame = no – 100;	// 指定した敵キャラのフレームを設定. enchant.Sprite.call( this, 96, 96 );	// 継承元をコール、幅と高さを設定. this.image = core.assets[ IMG_ENEMY_96 ];	// 敵キャラ画像(96×96)を設定. this.frame = no – 200;	// 指定した敵キャラのフレームを設定. this.no = no;	// No. this.label = enemiesInfo[ no ].label;	// 名前. this.system = enemiesInfo[ no ].system;	// 系統. this.hp = enemiesInfo[ no ].hp;	// HP. this.sp = enemiesInfo[ no ].sp;	// SP. this.attack = enemiesInfo[ no ].attack;	// 攻撃力. this.defense = enemiesInfo[ no ].defense;	// 守備力. this.quick = enemiesInfo[ no ].quick;	// 素早さ. 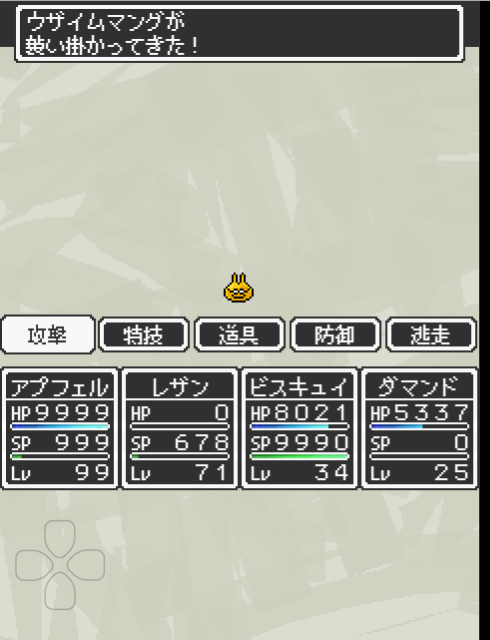 this.exp = enemiesInfo[ no ].exp;	// 経験値. this.recette = enemiesInfo[ no ].recette;	// 通貨(ルセット). this.drop = enemiesInfo[ no ].drop;	// 落とすアイテム. this.behavior = enemiesInfo[ no ].behavior;	// 行動パターン. this.ability = enemiesInfo[ no ].ability;	// 特殊能力. this.resist = enemiesInfo[ no ].resist;	// 耐性. enchant.Group.call( this );	// 継承元をコール. this.x = x;	// メッセージウィンドウを表示するX座標. this.y = y;	// メッセージウィンドウを表示するY座標. var bg = new Sprite( 480, 64 );	// 幅と高さを設定. bg.image = core.assets[ IMG_BG_WINDOW_MESSAGE ];	// メッセージウィンドウの背景画像を設定. bg.x = 0;	// X座標(グループ内相対). bg.y = 0;	// Y座標(グループ内相対). this.addChild( bg );	// グループに背景画像を追加. var line1 = new Label("テキスト１行目");	// メッセージ文字列を生成. line1.font = "20px PixelMplus10";	// 文字サイズとWEBフォントの設定. line1.color = ‘#f8f8f8’;	// 文字色の設定. line1.x = 26;	// X座標(グループ内相対). line1.y = 10;	// Y座標(グループ内相対). line1.width = 400;	// 20文字分(20×20)の幅を確保. line1.textAlign = "left";	// 左揃えに設定. this.addChild( line1 );	// グループにメッセージ文字列を追加. var line2 = new Label("テキスト２行目");	// メッセージ文字列を生成. line2.font = "20px PixelMplus10";	// 文字サイズとWEBフォントの設定. line2.color = ‘#f8f8f8’;	// 文字色の設定. line2.x = 26;	// X座標(グループ内相対). line2.y = 34;	// Y座標(グループ内相対). line2.width = 400;	// 20文字分(20×20)の幅を確保. line2.textAlign = "left";	// 左揃えに設定. this.addChild( line2 );	// グループにメッセージ文字列を追加. this.childNodes[ 1 ].text = text1;	// メッセージ文字列の更新. this.childNodes[ 2 ].text = text2;	// メッセージ文字列の更新. scene.addChild( enemy );	// シーンに敵キャラを追加. scene.addChild( msg );	// シーンにメッセージウィンドウを追加. var pad = new Pad();	// バーチャルパッド（十字方向キーパッド）を生成. pad.moveTo( 10, SCREEN_HEIGHT – 125 );	// 表示座標を設定. scene.addChild( pad );	// シーンに追加.